I don't ever remember opening up a blaster of this product before... is this my first time? I've gotten so many retail products that sometimes I lose track. Anyways, here's a blaster of OPC Platinum. 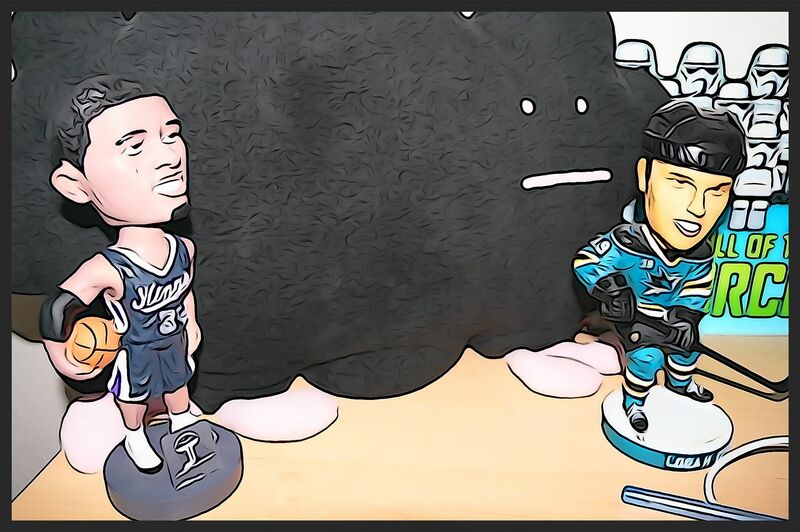 It's a product that was received well by collectors at first, but soon dropped off in popularity. OPC Platinum is a product that Upper Deck made to capitalize on the popularity of Prizm from Panini and Chrome from Topps. They basically took the OPC design from that year and made all the cards foil. This approach has been popular in other sports so it would makes sense to be popular with hockey too. Well, OPC Platinum didn't take the hockey world by storm, and now it's pretty easy to find for a good price. The hobby version has been heavily discounted as have the retail versions of it. If you're going to get some, I can really just recommend the hobby version as you get guaranteed autographs per hobby box. Retail blasters such as these make getting any sort of hit nearly impossible. It's been a while since I've touched this product, but what I'm expecting are just a few parallel base cards, and if I'm really lucky, and autograph. I think this blaster was pretty decent for the price. Though there were only six packs in this box, I still felt I got a decent amount of parallel and rookie cards. Getting a numbered parallel was pretty awesome, and I'm glad I got one of a pretty good player. I also got a few retro cards along with the base cards. The retro cards can be distinguished by their alternate design. My only issue with this blaster was that the cards were all bowing. I shouldn't be surprised about that though as chrome-type cards tend to do this. In a toploader you cant really tell that they do that so it's not a big deal. 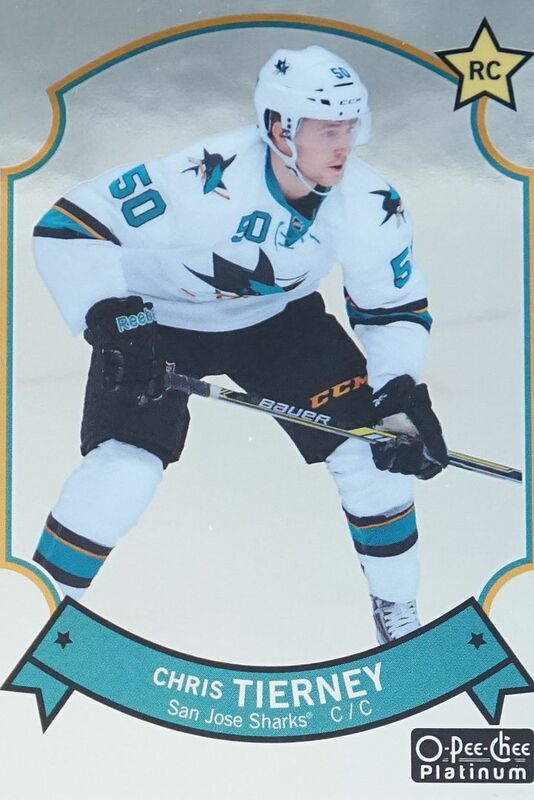 I like this card for a couple reasons... one... this card features a San Jose Sharks player. That's always good for me. Second, it's a retro style card so it looks a bit different than all the others. 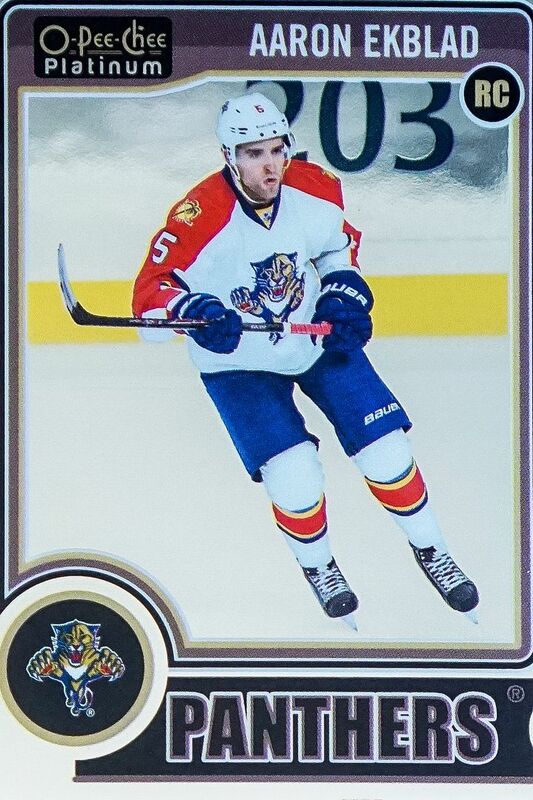 Ekblad was one of the top rookies to get last year, so hitting him was nice. It's not a parallel version or anything, just the normal base version, but it's cool to have. This was a pretty nice card to come from a blaster. I really like the fact that it's a low numbered parallel card. 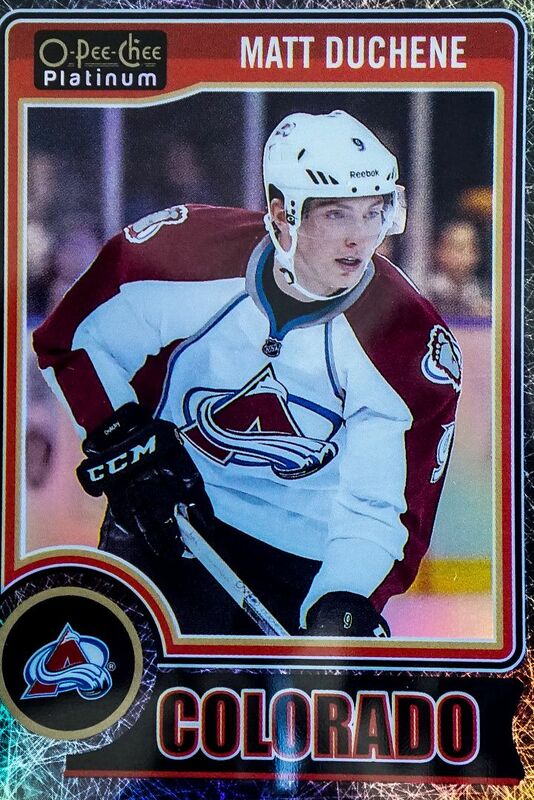 Duchene is also a very good player, which makes this card even better! This blaster provided a nice break with some decent value in it. At about ten bucks a pop, these blasters can't match up to their discounted hobby brethren, but they can still be a good distraction to open. If you're looking to add another blaster to your order that doesn't break the bank, OPC Platinum wouldn't be a terrible choice. 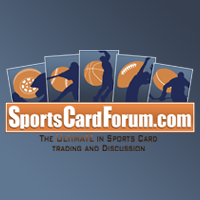 It's a solid product with the opportunity to pull some good looking parallel cards. 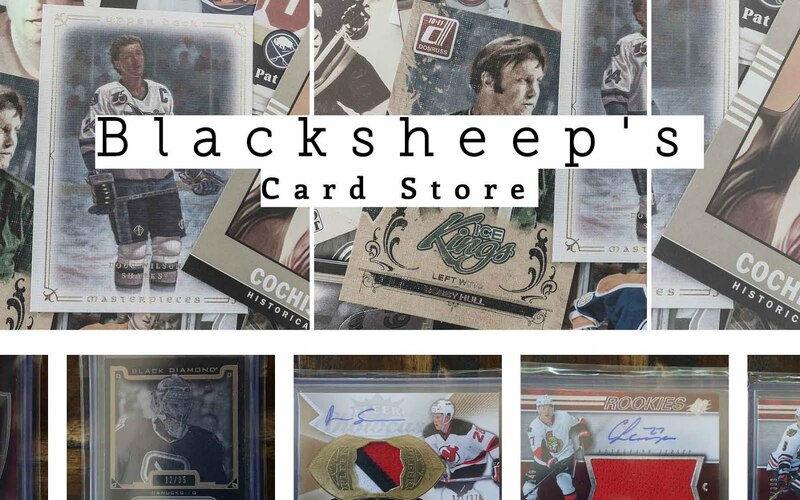 Thanks for the break - nice to see the Duchene come for you! 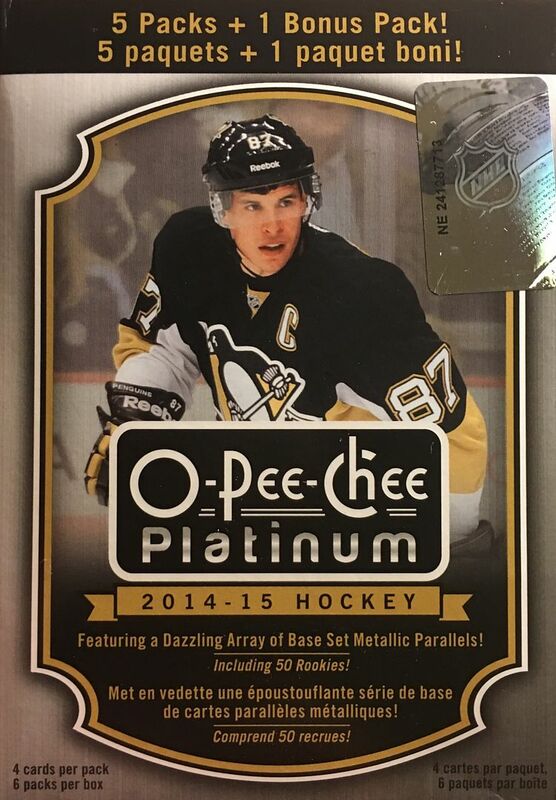 OPC Platinum has been one of the few sets in this recent UD-only era that I liked. Shame it didn't take off.